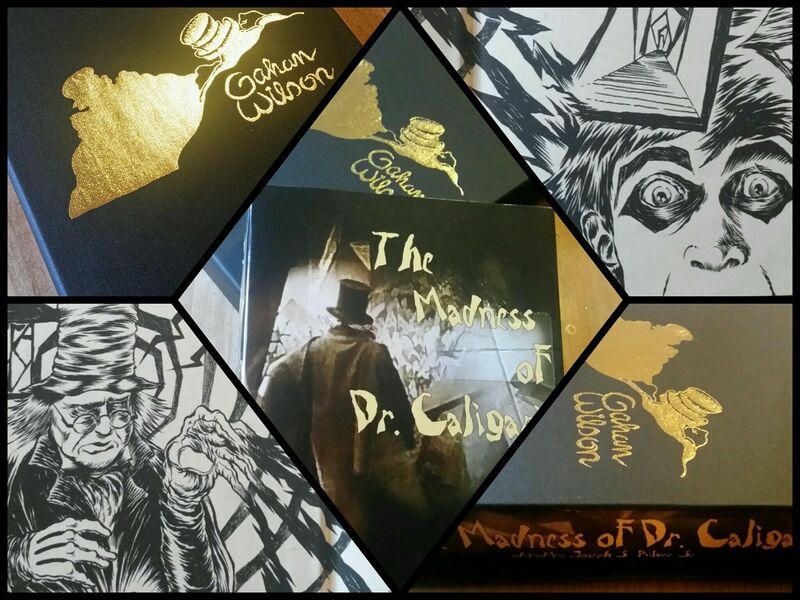 I recently received the deluxe edition of the anthology The Madness of Dr Caligari, edited by Joe Pulver, published by Fedogan and Bremer, encased in a slip cover, signed by all the contributors, and with beautiful artwork on the endpapers by Nick Gucker. What a beauty! There are other editions too: Kindle, Paperback, and Hardback. I consider myself terribly lucky to have a story in this book. If you want some idea of what the stories are like then check out Des Lewis’s Real-Time Review of the anthology.